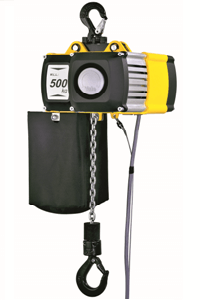 The Yale CPV-F is one of our best selling electric hoists and is available in single speed (CPV) or dual speed (CPV-F) with working load limits up to 5000kg. 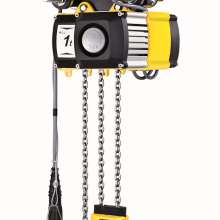 The innovative design of the yale CPV electric chain hoist enables a choice of hoist suspensions. 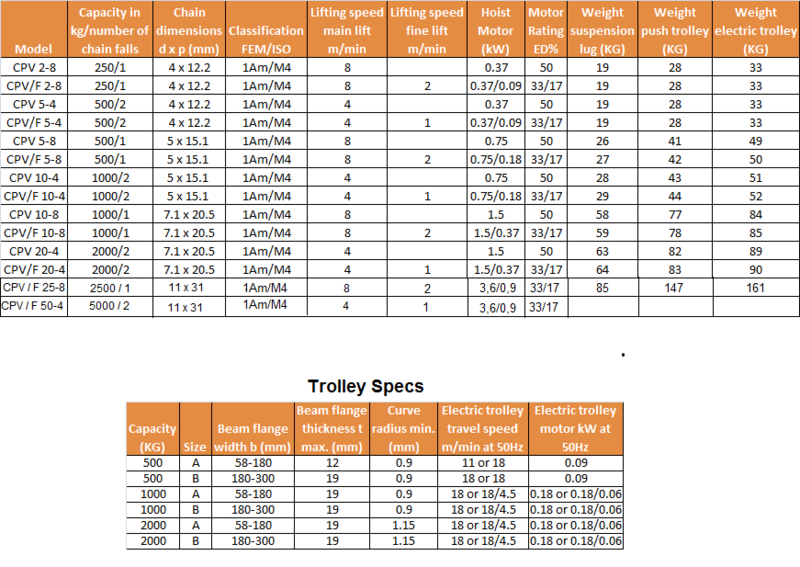 There is a lug suspension point which comes as standard and enables easy attachment to trolleys and clamps, it is also perfect for lower headroom operations. 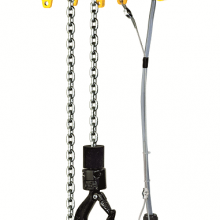 You can also opt for a hook suspension which is fitted with a safety catch for extra security. 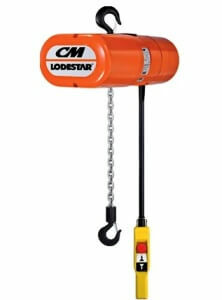 The third option is to have the hoist fitted with an integral beam trolley. This can be push travel, geared or the electric(VTE) which is dual speed and ideal for transporting heavier loads over longer distances. Two brand new models have just been added to the CPV range, the CPV/F 25-8, capable of lifting up to 2500kg loads, and the CPV/F 50-4 which can lift up to 5000kg loads; these two new models just released by Yale greatly extend the lifting capacity of the well respected CPV hoist range. 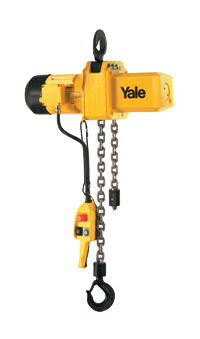 The standard classification group for the Yale CPV hoist is 1Am/M4 . 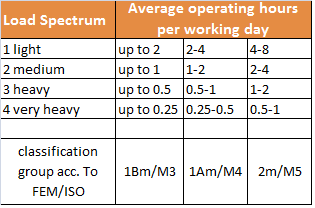 Classification groups are defined by operating hours and load spectrum. It is also possible to re-classify the CPV up to 3m/M6 with some changes to the lifting capacity resp. Duty cycle. The standard operating voltage is 400v, 3Ph, 50hz; with ambient operating temperatures between -10 to +40 degrees. With an IP55 rating, the motor is well protected against dust ingress and water jets from any direction. 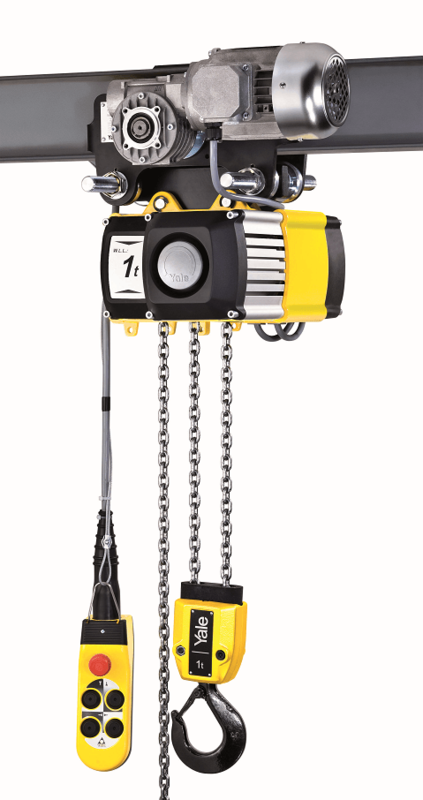 The pendant control has IP65 protection against ingress of dust particles and water from all directions as well as complete contact protection. 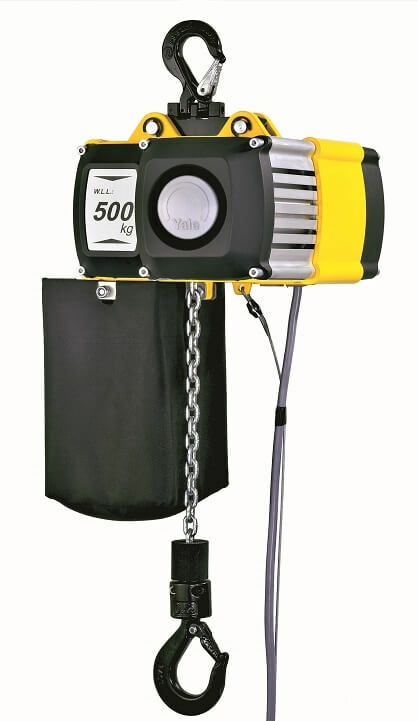 The CPV chain hoist has a longer working life than some. This is due to the limit switches which set the upper and lower hook positions. They reduce the stress on the slip clutch, motor and gearbox. The gearbox is well lubricated in its oil bath and the gears are helically cut and hardened to enabling smooth running and low noise emission. 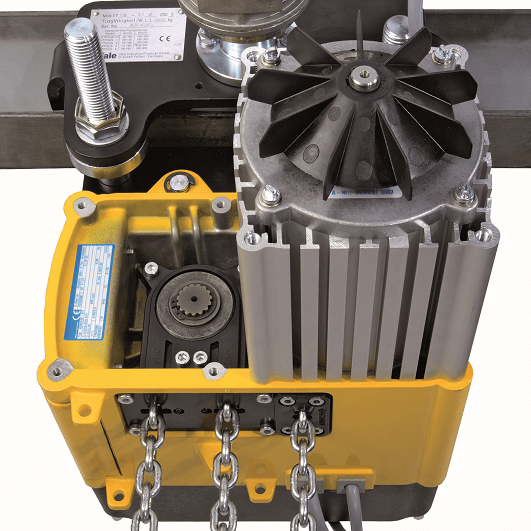 The guide for the steel chain and the load sprocket can be easily accessed for inspection or replacement without the need to dismantle the whole unit. 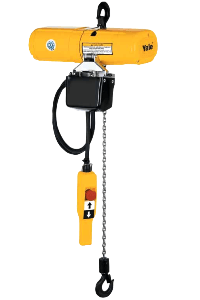 This electric chain hoist incorporates excellent safety features for extra peace of mind when lifting heavy loads. With a main-line contactor for increased safety assurance and also a spring pressure brake. 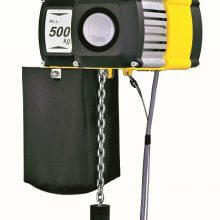 This is electro-magnetic and is designed to hold the load firmly and safely, even if the power supply fails. In addition there is a slip clutch that is adjustable externally. This is an excellent safety feature which guarantees a permanent connection between the load and the brake. There is also thermal overload protection, though this is not standard and available as an optional extra. If you need and more information, advice or a quotation, contact us here, we are always ready to help wherever we can.